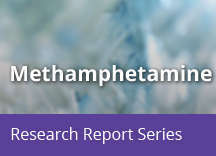 Home » Publications » Research Reports » Methamphetamine » What is the scope of methamphetamine abuse in the United States? According to the 2012 National Survey on Drug Use and Health (NSDUH), approximately 1.2 million people (0.4 percent of the population) reported using methamphetamine in the past year, and 440,000 (0.2 percent) reported using it in the past month. This represents a decrease from previous years: In 2006 731,000 (0.3 percent) reported past-month use. In 2012, there were 133,000 new users of methamphetamine age 12 or older—the same as the previous year but continuing a general downward trend across the past decade. The average age of new methamphetamine users in 2012 was 19.7 years old. 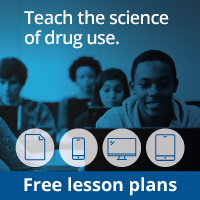 The 2012 Monitoring the Future (MTF) survey of adolescent drug use and attitudes reported that about 1 percent of 8th, 10th, and 12th graders had used methamphetamine within the past year. These data indicate that 10th and 12th graders are using methamphetamine less than they did 5 years ago, but that use by 8th graders has not dropped significantly in that time. Overall, however, use of methamphetamine by adolescents has declined significantly since 1999, when this drug was first added to the survey. According to the Drug Abuse Warning Network (DAWN), which collects information on drug-related episodes from hospital emergency departments (EDs) throughout the Nation, methamphetamine accounted for about 103,000 ED visits in 2011; it was the fourth most mentioned illicit drug in ED visits following cocaine, marijuana, and heroin. While still high, this number represents a decrease from the 132,576 ED visits for methamphetamine abuse measured in 2004. The Treatment Episode Data Set (TEDS) provides information on admissions to substance abuse treatment facilities that are licensed or certified by State substance abuse agencies. According to TEDS data, nationwide treatment admissions for methamphetamine abuse dropped from 8.1 percent in 2005 to 5.6 percent in 2011. The majority of primary methamphetamine admissions were male (53 percent), and about two-thirds (68 percent) were non-Hispanic Whites. While national trends are showing declines, methamphetamine abuse continues to exhibit regional variability. The strongest effects are felt in the West and parts of the Midwest, according to the National Institute on Drug Abuse’s (NIDA’s) Community Epidemiology Work Group (CEWG), a network of researchers that provides information about the nature and patterns of drug abuse across the United States. For example, in the first half of 2012, methamphetamine ranked first in drugrelated treatment admissions in Hawaii and San Diego, second in San Francisco, and third in Denver and Phoenix.